International Coach Federation (ICF) PCC pending MCC, Board Certified Coach (credentialled with Full (CCE),Adler’s Certificate in Professional Coaching (ACPC), Conversational intelligence™ (C-IQ Enhanced Program Coach). Laura Atwood joined Synergy Global in 2019 as Team Leader – AZ, USA.She began her career as an anthropologist, driven by a fascination with how people make sense of their world, a passion that still finds expression as she moves from the macro/cultural level to the micro/individual level in Executive Coaching, Change Facilitation (often using Action Learning, whilst transferring coaching skills) & Mediation. Her Effectiveness Consulting work in HR/OD has spanned a variety of organisations across the Private, Public & Not-for-Profit (NfP) Sectors, including Technology, Health, Education, Manufacturing & Charities. As a facilitator for a specific ‘Positive Change Program’ (Leader as Coach), she teaches a coach approach to leadership & the co-creation of a coaching culture in diverse organisations such as Kaiser Permanente, Motorola, the Holsum Bakery, & the US Coast Guard. Laura partners with leaders who want to deliver bottom-line results while creating a meaningful, intentional legacy with a lasting positive impact on their teams & organisation, providing personal fulfillment. Additional coaching specialties include Mentor Coaching & helping people to move from uncertainty to clarity during life transitions. Her ability to quickly spot patterns, synthesise data, & intuit previously unseen connections, helps clients to take a bigger picture perspective than they are typically able to find on their own. She has earned a reputation for keen observations, penetrating questions, bold thinking, frank feedback, & a calm, centering presence that produces dramatic results. She helps clients to fully utilise their natural resources as a foundation for courageous & deeply satisfying new choices that produce extraordinary outcomes. Laura has a knack for helping people to get unstuck from unproductive thinking patterns that are holding them back in life/work, & to find fresh perspectives that open doors to new possibilities. She is also a sought-after Mentor Coach, known for accelerating the process of developing effective coaching skills & the movement toward International Coach Federation (ICF) Mastery. Laura is a trained, professional mediator, with experience in both civil & family/divorce mediation plus dealing with conflict, in creative ways to minimise hurt & maximise innovation. Laura leads a busy professional life: she has championed professionalism in coaching & mediation as Co-Chair of the ICF Regulatory Committee & the ICF's Ethical Conduct Review Process; as President of Association of Coach Training Organisations (ACTO 2010-12); ICF Past President of the Greater Phoenix ICF Chapter; & a Past Board Member of the Maricopa County Association of Family Mediators (MCAFM). She also served as President/CEO of Lead for Good (LFG), a NfP specialising in leadership development to facilitate capacity building & collective impact. 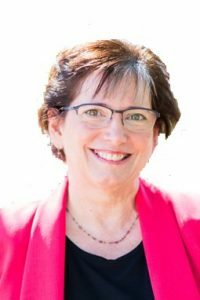 Laura’s work with LFG continues in offerings such as the Leadership Success Institute, Leader as Coach Training, & Executive Coaching for NfPs.